For the next England match click here. For the next Panama match click here. England left it late against Tunisia but, in the end, it was a terrific result for Southgate and his men. Panama are next up for the Three Lions and, without many attacking threats up front for the Central Americans, England should keep them out and win comfortably. England to win is priced at 1.17 with William Hill. Harry Kane will be quietly confident he can add to his two goals already this World Cup and England will see this is an opportunity to get forward at every opportunity. England to win 3-0 is priced at 6.00 with Bet365. Southgate will want to see his team play freely and get forward when they can against Panama. The England boss should get that, with the pressure off after England’s first win. Over 2.5 Goals looks a certainty with Crownbet at 1.77. The likes of Rashford and Sterling haven’t produced their best yet at the World Cup. England’s attacking players will bomb forward and look to get that quick interchanging play going again. Panama’s toothless attack should see only England getting on the scoresheet and both teams not to score can be found with Betstar at odds of 1.33. Harry Kane’s 91st-minute winner for England against Tunisia has given this group a look that most pundits would have been expecting. Group G should be without major incident as England and Belgium comfortably qualify for the round of 16. It’s now or never for Tunisia and Panama if they want to prolong their stay in Russia. Previous Winner (1966) England & Central American minnows, Panama, meet in a 2018 FIFA World Cup Group G showdown, with a spot in the knockout round up for grabs. 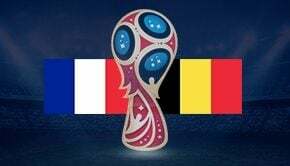 The result of the match could prove decisive for both teams in determining which teams progress to the knockout phase of World Cup play. The two teams have not met previously in a full international. England progressed unbeaten to the World Cup with automatic qualification by easily winning the highly competitive UEFA-Group-F containing quality teams, Slovakia, Scotland, Slovenia, Lithuania and Malta. Despite being massive underdogs, the Panamanians are not total unknowns. They qualified for the tournament in Russia by finishing ahead of the United States during CONCACAF qualifying and eventually won one of the 3 automatic qualification spots, finishing third to group winners Mexico and second-placed Costa Rica. Along the way, Panama beat the Costa Ricans 2-1 and then drew with them 0-0. Panama also drew 0-0 with Mexico, losing only three times in 10 qualifying matches. During the World Cup warm-ups, Panama’s form was quite patchy, with a 1-0 win over Trinidad and Tobago, draws with Northern Ireland (0-0) and Wales (1-1) mixed in with a heavy 6-0 defeat to Switzerland and a 1-0 loss to Denmark.